It means everything that would come on campus could either be composted, recycled or repurposed into something else. PORTLAND, Ore. — Oregon has always been a leader when it comes to recycling, but there's a lot of stuff you can't throw in your curbside bin. Jesuit High School in Portland is trying change that for their families. The private, Catholic school has an ambitious plan to become a "zero waste" school. It means everything that would come on campus could either be composted, recycled or repurposed into something else. Recycling is already front and center in their cafeterias. There's the normal receptacles for paper and cans. But new bins collect odd plastics brought from home by students. Those can't go to the city curbside. They are destined for a conveyor belt across the country in New Jersey. 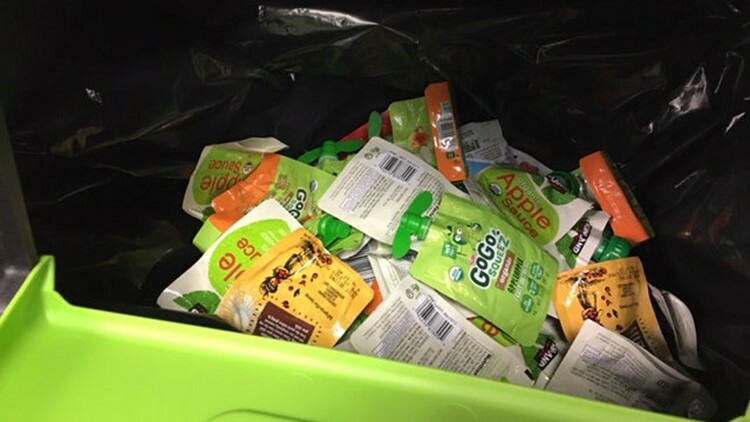 A revolutionary company called Terra Cycle is teaming up with schools and businesses nationwide to get those drink pouches or markers shipped here. They're shredded into tiny bits, then pummeled into pellets. Those pellets are bought by other companies to be made into new plastic products: gardening or garbage cans, frisbees, plates, the options are endless. "Ideally we're going towards becoming a zero waste school, which is a huge undertaking because it means everything we take into the school has an end purpose and an end life," said Jesuit physics teacher Jennie Kuenz, who's headed up the recycling program. It's become a movement that kids are getting behind. A few years ago, the school started an environmental science elective class. Grace Wetzler is a junior and has taken the class. "We made a water filter and studied micro-plastics in the ocean and that kind of inspired me to look at what we throw away and how that pretty much ends up in the ocean," she said. Alex Guitteiu, a senior, agrees. "Yeah it's definitely a mindset shift. I think it has to do with your perception of when you throw something away, what happens to that." "You can see students applying what they have learned and internalizing it and recognizing that their decisions actually matter," says Kuenz. 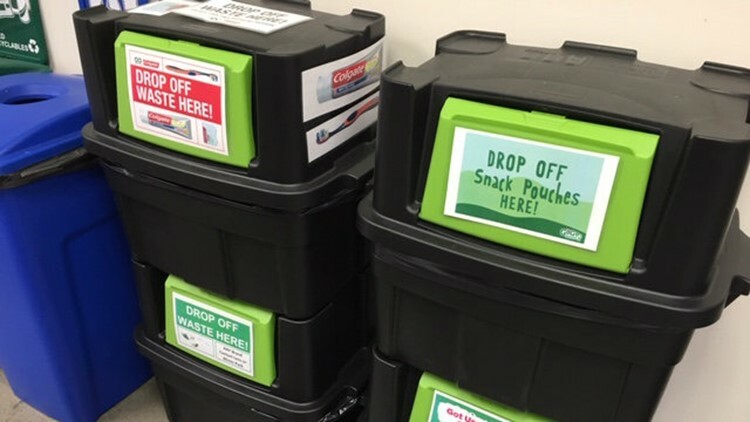 Becoming zero waste will realistically be a 10-year process, but Jesuit could become the first Oregon school to do it. They're already switching to refillable dry erase markers, looking at pumps instead of packets for ketchup and mustard, and yes, straws are going bye-bye. Students are on board, knowing the future relies on them. "If my generation doesn't start fixing all our problems, nobody is going to fix it, now is the time," said junior Elizabeth Kapellakis.